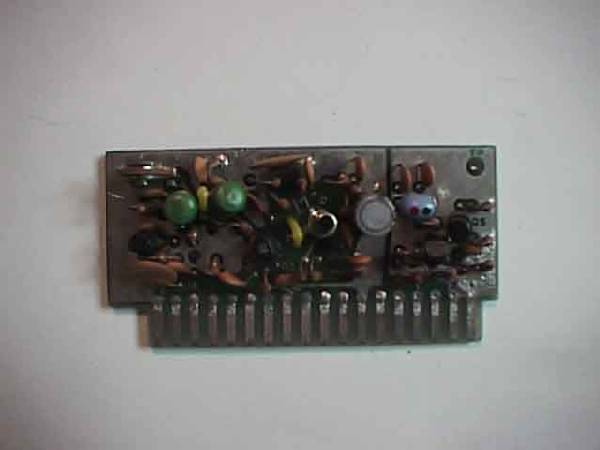 This Module contains microphone amplifier, Audio Amplifier, Vox and CW side tone. One can easily note the difference from PB1081C which was used in the late production FT-101 transceivers which came with the large SANYO STK-401 audio amplifier chip and PB-1315A/B audio unit used in the newer FT-101E and F model transceivers. Very Early FT-101 (MK-1) used an early audio board PB-1081B it has two (PNP 2SB463) transistors in push pull. As noted below you will see Q-10 and Q-11 on PB1081B. Upgraded FT-101 (MK-1) transceivers used audio board PB-1081C and then later models FT-101 (MK-2) transceivers used PB-1189. With the introduction of the FT-101B the audio board changed again using audio board PB-1315 in (Early) FT-101B production. 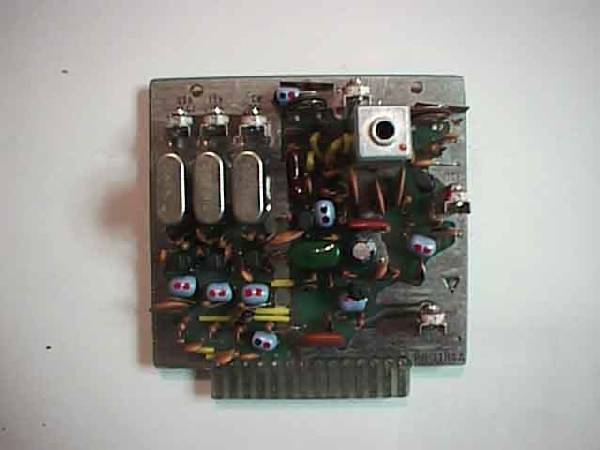 All of these audio modules (except for PB-1081B) used the large Sanyo STK-401 audio chip which was often a source of failure in the audio circuit due to oscillation. It wasn't until the FT-101B(2) late production we are introduced to the improved audio unit PB-1315A using the smaller AN-214 (4.4 watt) integrated circuit audio power amplifier chip. 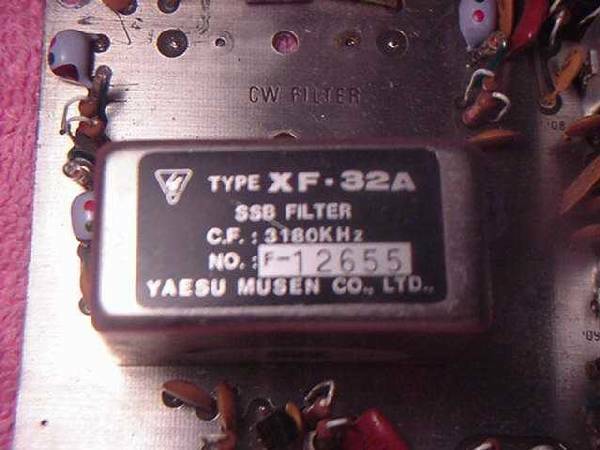 Yaesu used the AN-214 audio chip in many of it's amateur transceivers including the famous FRG-7 communications receiver. The AN-214 proved to be very reliable and the use of PB-1315A/B continued until the end 101 production. It's interesting to note while the FT-101 series of transceivers basically looked the same for all the years they remained in production. They were often fondly referred to by many as the (VW) Volkswagen of amateur radio. While they basically keep the same look from the outside, a keen eye could note the improvements being made by the factory under the (bonnet) hood of this finely tuned machine. Such is the case when looking at the Audio modules below. Audio Board FT-101 (MK-1) Early PB-1081C Audio board FT-101 (MK-2) PB-1189 - No pix Both boards use the large Sanyo STK-401 Audio Amplifier chip. Audio PB-1315 FT-101B (Early) looks similar to PB-1081C seen above. With addition of a heat sink on the STK-401 Audio Chip. If you need to replace an STK-401 it has proven to be almost all but impossible to find at this late date. The club still has a few original Sanyo STK-401 in the radio graveyard, or an NTE1151 may be used in its place. 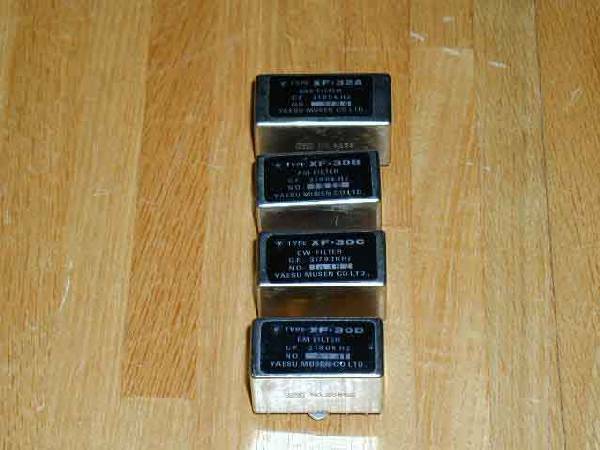 Used in the FT-101E and F models transceivers. This board replaced earlier versions and used the smaller 4.4 watt AN-214 9 pin single in line package, integrated circuit audio power amplifier chip. Should you ever need to replace an AN-214 a suitable replacement is the NTE-1058 as noted below. The AN214 was used in most of Yaesu amateur products throughout the 1970s. 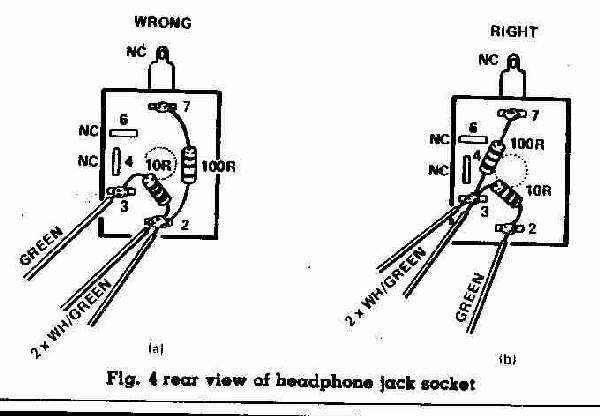 One last area of interest regarding audio is the proper wiring of the head phone jack. Some early models were wired incorrectly which in turn allowed for audio to be heard through the speaker when headphones were plugged into the headphone jack, later production runs were revised. You should use a mono jack plug with the 101E but even then there can be a problem. A whole batch leaked out with the phone socket wired wrong and needed rewiring. Linear AF power output IC 4.4W and audio preamp. Equiv. To AN214P. Case style 9 pin SIP. Transmit 1st mixer & Receiver 2nd mixer. 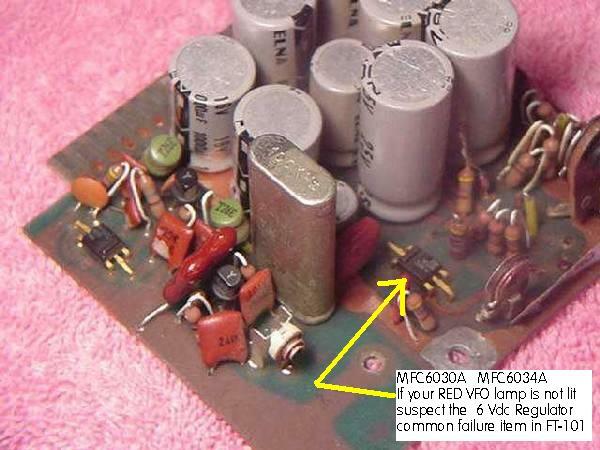 left, there is a 6360 KHz crystal that is absent on the early board. 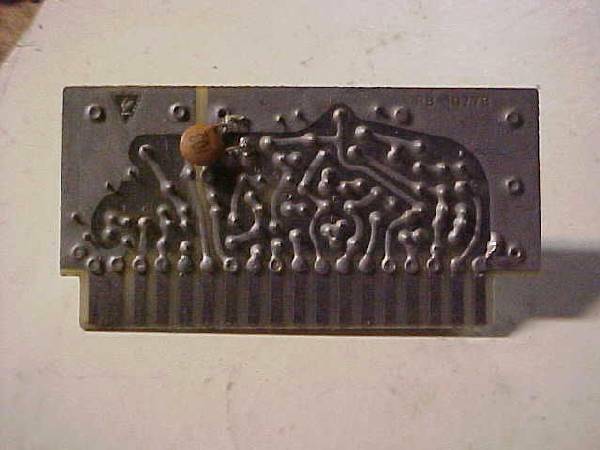 This is part of a 6.36 MHz trap going out the circuit board to L-32 via Pin #14. It is generally assumed you can not put a PB-1180B into a very early FT-101 which has PB-1084, this is true. However you can put PB-1180B into an early unit if you cut the ground on Pin #14 under your early FT-101. If you try to upgrade your early radio with PB1180B you will have no signal path as the ground on pin #14 of the early transceiver will short out your I.F signal path until the ground is removed from plug in socket MJ(2) Pin #14 which holds the mixer unit under the early FT-101 transceiver. It can be done successfully and a newer High Frequency unit can be used in an early FT-101 by doing this step. did not have the noise blanker on this board. Low Frequency IF Module PB1183B/C this module contains the low frequency IF amplifier, SSB and CW crystal filters, detector and AGC/S meter circuits. The 3180 KHz signal from the noise blanker is fed through this unit and the SSB/CW Filters through the Low Frequency IF Unit. In transmit mode, the IF signal is applied to high frequency I.F. unit from pin #10. NOTE: YOU CAN NOT TAKE PB-1183 and put it into an early FT-101 which uses a PB-1080A, the reason you can not update an early transceiver with this board is that the very early FT-101 had the noise blanker circuit on PB-1080A. 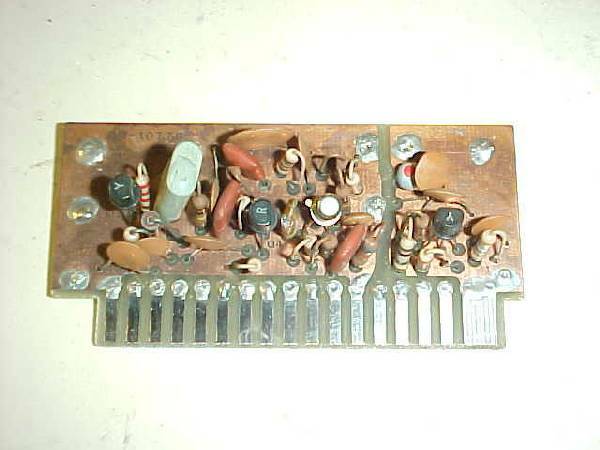 Later models in the series FT-101/B/E/F had a plug in noise blanker boards such as PB-1582B shown below. 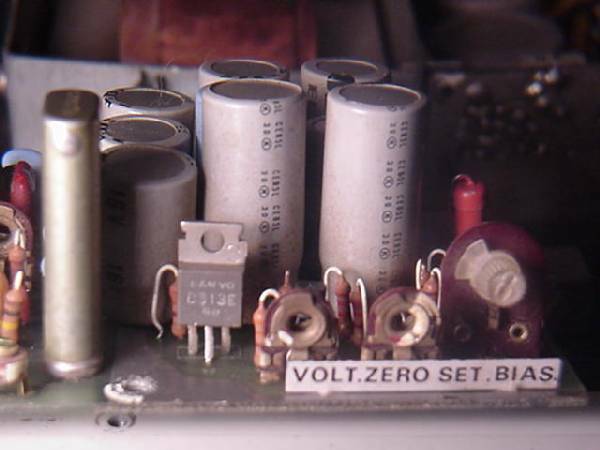 In the case of the original late model FT-101 there was a noise blanker which included the crystal control board (PB-1182) this unit was installed on top of the VFO and the interconnection of this module were wired directly without using plug-in socket. On the low frequency I.F. unit you will often find the XF-30A or XF-32A SSB filters, XF-30C 600 Hz CW filter or the XF-30B 6 KHz wide AM filter. Shown are the XF-32A 8 pole 2.4 KHz SSB filter, XF-30B 6 KHz AM filter, XF-30C 600 Hz CW and XF-30D FM filter 3.180 center frequency 20 KHz wide used in the FR-101 Receiver. Absent from this photo is the often seen XF-30A 6 pole 2.4 KHz SSB filter that came stock in early transceivers until Yaesu later upgraded all the FT-101 I.F. filters to the XF-32A 8 pole filter. 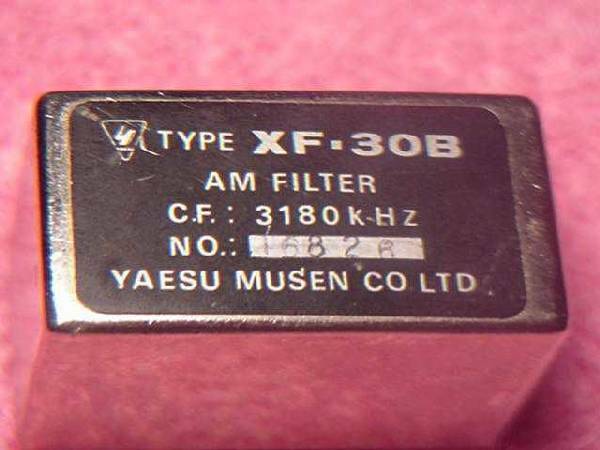 Here we can see an XF-30A 6 pole 2.4 KHz SSB filter on a Yaesu speech processor unit. The XF-30A was originally used in the I.F. for the FT-101, it is a six pole filter. 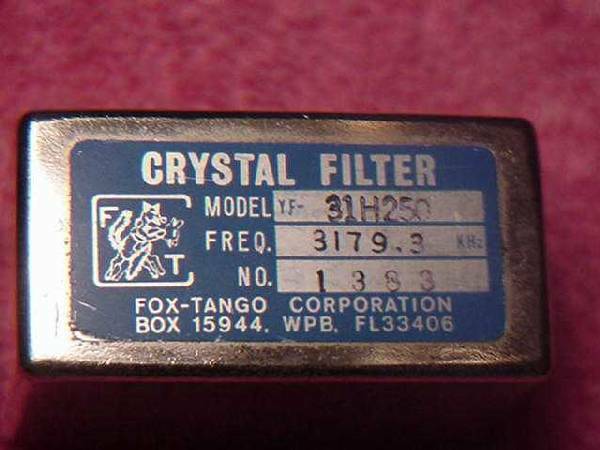 Later the manufacturer went to the XF-32A filter, it is an eight pole filter. Both filters had a center frequency of 3.180 MHz and a 2.4 KHz band width. 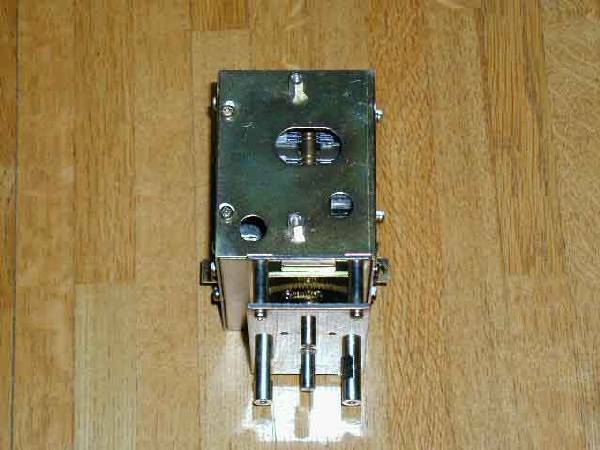 Modulator Unit PB-1184A. The carrier oscillator & modulator unit has separate oscillators for USB, LSB, modes while CW & AM use the same oscillator crystal. 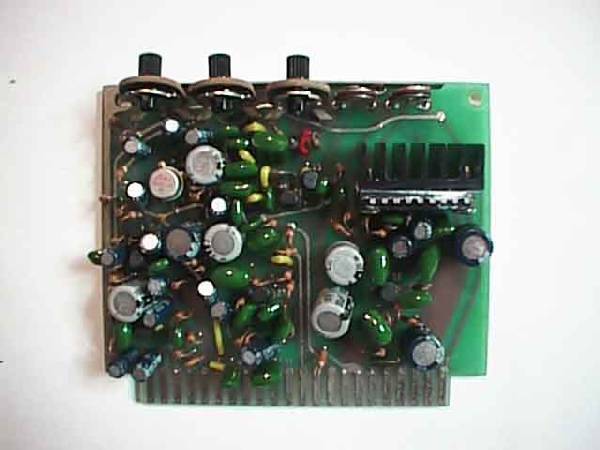 Except for a very few minor changes on this board, the modulator unit is one of the few boards which virtually remained the same through out the entire production of the transceiver. There is really very little difference between a PB-1078A and a PB-1184A and there should be no reason what so ever that the two can not be interchanged, if needed. Noise Blanker PB-1582B receives 3180 KHz to the noise blanker unit. 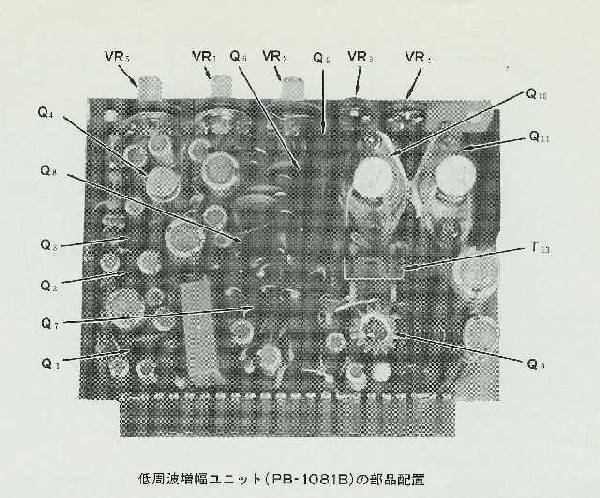 Very early FT-101 series transceivers had the noise blanker circuit on PB-1080A. Later models in the series FT-101/B/E/F had a plug in noise blanker boards such as PB1182, PB1292 and PB-1582. Lots of changes to the noise blanker circuit over the years, enough to write another book so we will reserve comment on it until a later date. The module contains the receiver RF amplifier, receiver 1st mixer, transmitter 2nd mixer and heterodyne oscillator circuit. The base circuit of the receiver mixer Q3 on this board is disconnected in transmit by a small relay (RL1) to avoid the lowering the Q of the receiver 1st mixer circuit while in transmit mode. RF Unit, PB1181C. Contains RF amplifier, 1st mixer, Tx 2nd mixer and heterodyne Oscillator section. This module contains the receiver RF amplifier, receiver 1st mixer, transmitter 2nd mixer and heterodyne oscillator circuit. NOTE: PB-1181 can replace PB1077B in earlier FT-101 transceivers, without any problem. The early HF Unit PB-1077B had a small relay (RL1) on the board, the relay would be activated in transmit mode so as not to lower the "Q" of the circuit in Tx mode. 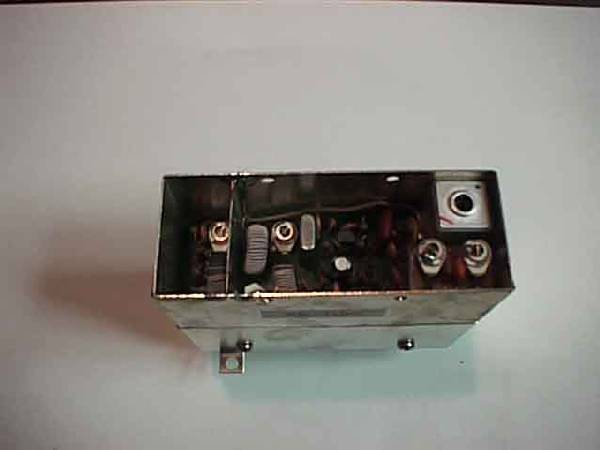 The mechanical relay was quickly replaced by a diode switch to avoid the lowering the "Q" of the circuit. The later board PB1181C is far superior to the original design with the addition of a local oscillator buffer (Q5) 2SC373, diode switching, and (Q2) FET 2SK19 for the Receive 1st Mixer. The RF amplifier Q1 also saw some change during production from it's original 3SK39 to a 3SK40 in later model transceivers. 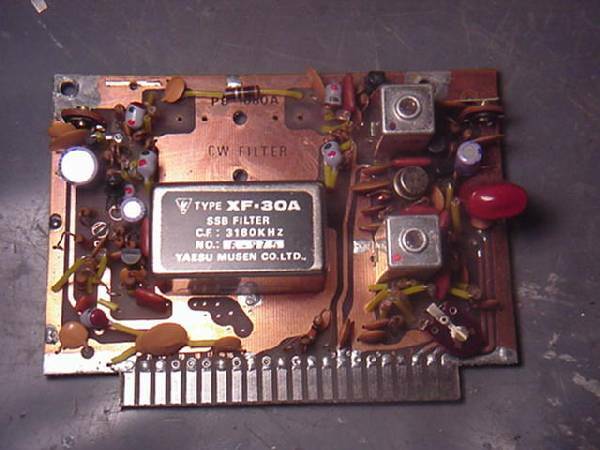 It was later recommended by Fox Tango members to replace the 3SK40 with a 3N201 MOSFET that was internally diode protected from static discharge on the antenna and less likely to blow out. An added advantage of the 3N201 was slightly higher receiver gain. Due to the fact that the 3N201 is no longer available a the suggested replacement part is an NTE-454, N-channel, Dual Gate MOSFET. 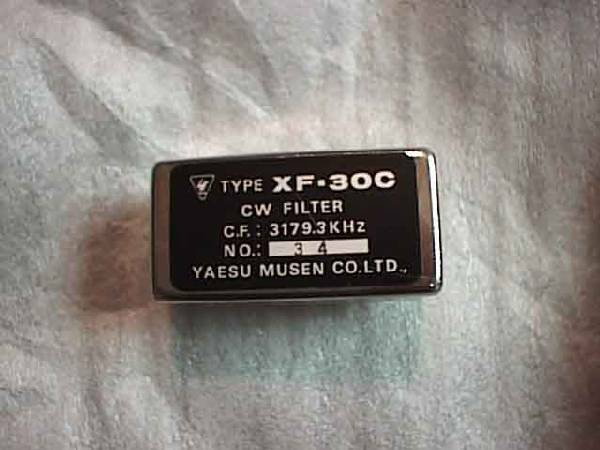 The 'FT -MOSFET' is an improved replacement for the Yaesu FT-101 first RF amplifier and the Yaesu FT-301 Mixer. The MOSFET increases RX sensitivity. 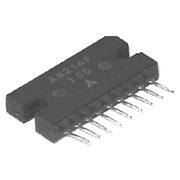 Its inputs are diode protected and it has a very low noise characteristic. Reports from Club members have been overwhelming enthusiastic. Several Club members have reported that in the FT-101's with the 3SK39 (3SK40 in the newer models) as the first RF amplifier, the RX sensitivity at highest signal levels remains the same or may even be diminish by an S unit or two when compared to the improved replacement MOSFET. Each rig is slightly different, but in all cases the MOSFET increases the linearity characteristic and brings up low level signals before inaudible. Installation could not be easier and involves removing the 3SK39 / 3SK40 and inserting the 'FT FET' in the socket of PB-1181B, FT-101B/E/F models. For more information on the Club "FT-FET" click here. Click here to see the NTE-454 data sheet for this device. Through out the production of the FT-101 series of transceivers there were many changes to the power supply regulator module. However they all basically did the same thing but the circuitry was improved. reaching the same means to the end result. The DC 13.6 volts from the rectifier unit is filter on this board and produces a stable 6 volt DC supply. Regulated voltage is provided to the clarifier and VFO circuits for stability from this board. The regulator board also has a transmit bias control on this board. A (-100 volts) negative one hundred volts supply sets the operating bias to the final amplifier tubes at approximately -50 volts. And The bias for the 12BY7A is also supplied from this board. (-20 volts) negative twenty volts on receive and (-3.5 volts) three and a half volts on the driver tube during transmit. 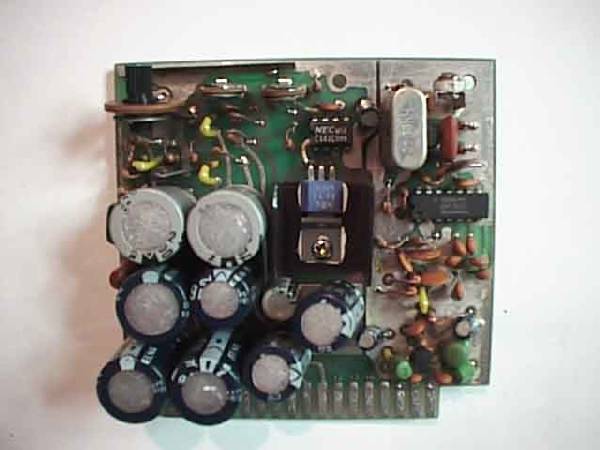 Power Regulator Unit PB-1079A in the very early transceivers used two NPN transistors to provide a stable 6 volt DC supply voltage need for the rest of the transceiver and produced 100 KHz and 25 KHz marker signals. 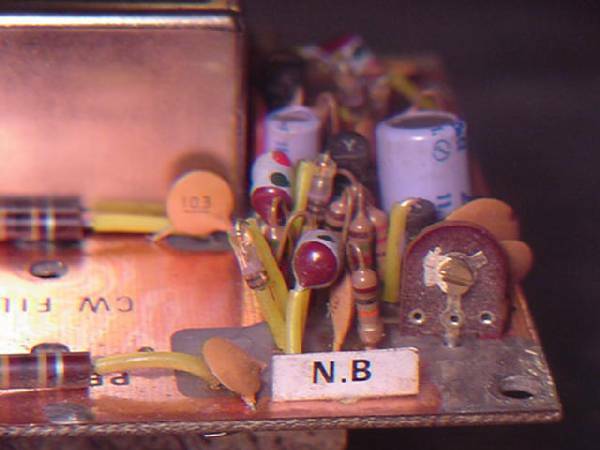 This unit is easily identifiable by it's large heat sink on the regulator transistor Q5 (2SC697) and the large 100 KHz HC-13U crystal used in it's marker generator. 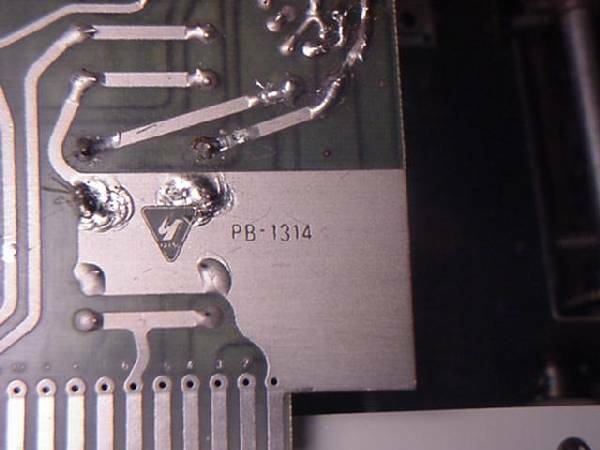 Less often seen is PB1314, this board can be found in the early FT-101B series transceivers. More often then not you will see PB1314A as shown below with an (MFC-6030A) integrated circuit being used in place of the two bi-polar NPN transistors for the 6 volt regulator circuit..
Min Out adj V 1.2V ??? Max Out adj V 37 ??? MFC6030A,6032A,6033A, and 6034A, are all basically the same. They can be interchanged for FT-101 use. If you are in need of a replacement regulator, check with the club candy store for purchase of a replacement. Power Regulator Board PB1547A and B was the final and best power supply circuit board. It sported a regulator circuit comprised of Q1, uPC141C, and Q2 (2SA634) for an extremely stable 6 volt DC supply which is fed to various circuits from pin #13 of it's board. 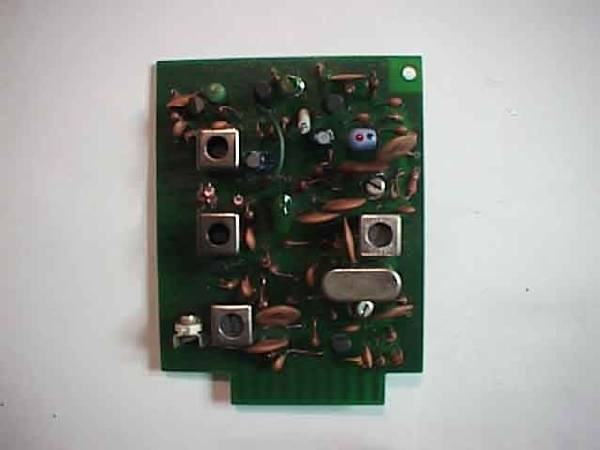 This board also had the latest marker signal generator using a 3200 KHz crystal frequency signal that is divided into 100 KHz and 25 KHz marker signals which was then fed to the receiver antenna circuit.